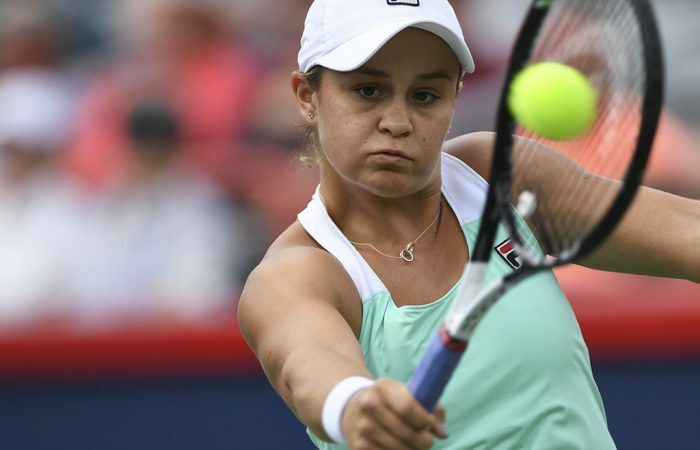 Ash Barty claims another win on North American hard courts as she beats Kaia Kanepi in Cincinnati. 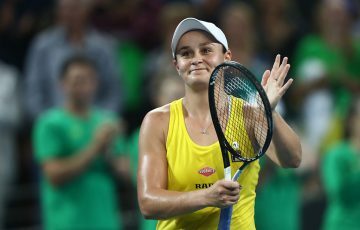 Australian No.1 Ashleigh Barty continued her fine form on the North American hard courts as she reached the third round of the Cincinnati Open with a straight-sets victory over Kaia Kanepi. Backing up her opening round win over Czech wildcard Marketa Vondrousova, 16th seeded Barty topped Estonian qualifier Kanepi 7-5 6-3 on Wednesday. 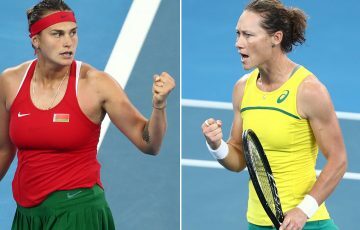 It was Barty’s sixth win in seven matches since heading to North America last month and she next faces world No.1 Simona Halep, or fellow Aussie Ajla Tomljanovic. That match was suspended due to rain, with Halep leading Tomljanovic 4-3 in the third set. Defending US Open champion Sloane Stephens overcame a thumb injury to cruise into round three with a 6-3 6-2 win over qualifier Tatjana Maria. The match was Stephens’ first since losing on Sunday to world No.1 Halep in the Canadian Open in Montreal. 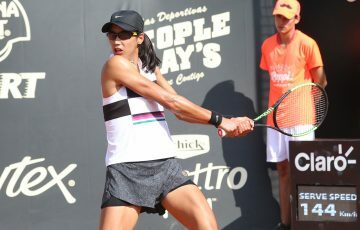 Defending champion and No.7 seed Garbine Muguruza was stunned by Ukraine’s Lesia Tsurenko in a 2-6 6-4 6-4 second-round defeat. 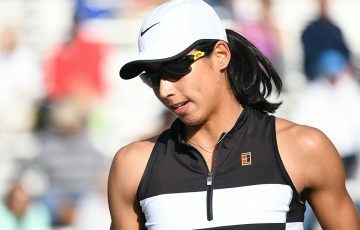 Muguruza, competing in her first tune-up event for the US Open later this month, appeared to be heading for a routine victory after rolling through the first set and jumping ahead 3-0 in the decider but Tsurenko had other plans. Tsurenko stormed back to go ahead 5-4 and sealed the contest on her first match point when a Muguruza forehand from behind the baseline sailed long, giving the Ukrainian world No.44 her first top-10 victory since 2015. Next up for Tsurenko is a clash with Makarova. 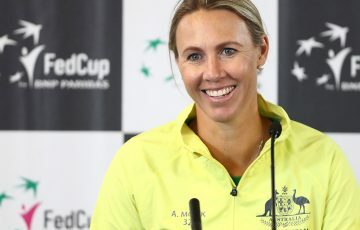 Also crashing out was ninth-seeded Czech Karolina Pliskova, who lost 2-6 6-3 7-5 to Belarusian Aryna Sabalenko.